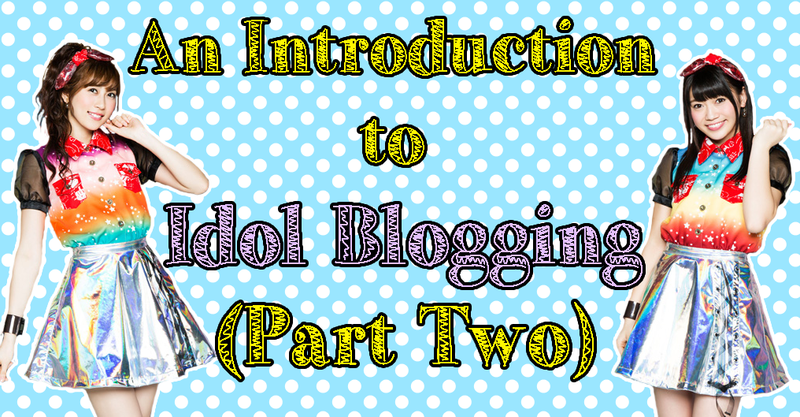 You can find Part 1 of this Introduction to Blogging Series HERE! Part 3 is also available HERE! When you begin your journey as an Idol Blogger, there are a lot of things to take into consideration when creating and shaping your blog. From platforms to the content that you will eventually publish, there is a lot that goes into being a blogger, no matter what the topic you happen to write about. With Idol Bloggers, it's more about what Idols we would like to promote, and how we would like to present these Idols to potential readers and future fans. How to start out this journey, though? We all have to begin somewhere within this community, and though blogging will take a lot of time, dedication, sweat and tears, it will all be worthwhile in the long run as you slowly build up your online profile, readership and dedicated followers. It does not all come at once, I am sorry to say, but if you stick it out long enough, you will see that all of your hard work and effort has become something amazing, and that you are noticed for what you are doing. In this small series, I hope to introduce to beginner and potential writers advice regarding the ins and outs of Idol blogging, and to give them a step up in this ever-expanding community so that we can pave the way for the future Idol Bloggers of today. What I write here is knowledge from my own experience as a blogger of five years, as well as a desire to help out new and enthusiastic bloggers who may not know where to start in this world of Idols and writing. If I can help only a little bit, then I have done my job. By no means am I an expert in the field of blogging or Idols, nor am I the sort of person who feels they can offer great advice, however what I can give is my insight and experience with blogging, and try to help others as much as I can. With this, I hope to show the joys of writing about Idols, and to bring even more bloggers to the realm of Idols, so that we can all share our passion together! If this is the post for you, then please, read on and enjoy! Just like the platform that you plan to write on and the name you have chosen, how you choose to make your ideal blog look and feel is all up to you. Whether you want to present it as a reflection of your own personality or to give it that cool and classy look, the end result of the design process should always be something that you feel comfortable with. That said, your blog and its design is not something that is the be all and end all, I promise. The design process itself and how it turns out is all up to you, even if you do decide to hand the photoshop and coding reigns to someone else. This is your personal domain, and honestly, you can do what you want with it... within reason and the limitations set, that is. Unless you are a HTML coding genius, what you can and can't do in terms of the layout and design of your dream blog is dependent on the platform you are using, and the boundaries that have been set in terms of features, colour palettes and templates. You may need to work with limited resources in this case, create your own codes and backdrops, or even ask for someone's help during this process. As one example, Blogger is a great platform to use for those who want to create a colorful site that allows big or small headers and room to play. The colour palette is great, and the use of adjusting blog dimensions is pretty decent, allowing a great amount of creator control. 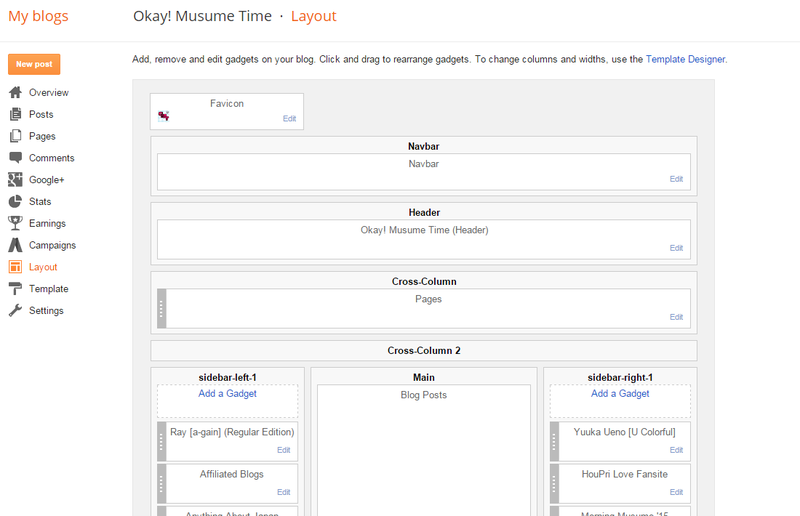 There is even the option to play with the layout, such as switching widgets and advertisements about to give your blog a desired look and feel. It's pretty flexible and easy, and Blogger is a great choice if you want something that allows you to upload your own backgrounds and headers, too, in any width or size. That said, what Blogger does lack is a good array of templates. It is something that puts a lot of bloggers off the site, as it limits what others desire in a potential blog. 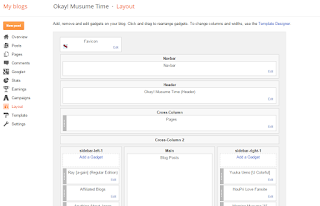 Still, the fact that Blogger implements the use of easily adjusting the layout by moving around widgets and sidebars, as well as the adjustable dimensions of the blog itself, I do feel that this all makes for what it lacks in templates. If anything, Blogger is a pretty good beginners platform for anyone who is design-savvy and wants to play around with colours, widgets, layout and, of course, design. You can make it big and bold, or keep it simple and clean. It's up to you, ultimately. Another example would be Wordpress, one of the biggest blogging platforms out there, as well as the one that most writers will enjoy using for its impressive array of free and premium templates. What Wordpress lacks in Creative Control, it certainly makes up for in a variety of pre-designed layouts and works that will appeal to most. That said, it is its lack of control that can make it one of the more difficult blogs to work with if you enjoy creating and designing backdrops and headers, as it will limit dimensions and colour palettes depending on the template you have used, unless you are willing to part with your cash to obtain these little extras, that is. In some cases, few templates do not even offer the use of a header at all, which could drive a header-savvy blogger crazy (ie: me). What it lacks in creative control however is this: professional, stylish themes that are easy to add, the knowledge that you may not have to spend hours designing a header or backdrop, and its simple and quick use of adding and using templates that are about three to five clicks away before your blog is set. If it is ease of design and layout you want, then Wordpress is definitely a great choice. Personally speaking, I have used both Blogger and Wordpress on a variety of occasions, with Blogger being my favourite and the one I use most frequently. I enjoy creative control and freedom with my banners, which is where Wordpress will, evidently, restrict me. That said, I do enjoy writing on Wordpress a little more. Blogger's formatting can, at times, be frustrating, whilst Wordpress is pretty sleek and easy to navigate. That said, I do enjoy both for different reasons; Blogger for the design process, and Wordpress for the writing aspect. As I said at the beginning of this post though, the design of your blog is not the be all and end all. If you want it to look a certain way, that is perfectly fine, however please do remember that it could take a few tries before you are able to get the desired effect if you are really set on a specific look and feel for your blog. It can be a long, tiring process, however you will eventually get your blog to look the way you want; it is simply a process of trial and error, and you just need to keep going back to it until it looks the way you want it to. Patience and practice truly makes perfect, here. Your header reflects your blog; it is the first thing we see as readers, and what it shows in not only the title, but also the imagery you use, tells us what your blog is about. Whether you write about Idols, Manga, Otome Games or all of the above, your banner should generally reflect what a visitor will be reading about, even if the banner includes just the title and a simple logo. That said, though it should speak volumes for your blog, it should also reflect your style and all you enjoy. When it comes to your header / banner, simple and sweet is generally the best (and easiest) option to go for, especially if you are just starting out on programs like photoshop or other editing software's. You can even design a header on Microsoft Paint if you desire it, because all you need for a simple, easy to make header is the use of a cropping tool, maybe a font you like, and a picture.You do not need to have a fancy editing system to achieve this, and honestly, this approach is one of the best; it looks stylish and, of course, effortless. If you like creating something fun and outrageous, however, or you wish to learn the ways of photoshop and other programs like it, then honestly, just go for it! The more you make use of these programs and what they can do, the better you will get. You do not need to know the ins and outs of photoshop to.make use of it, however once you start using it, you will learn along the way the use of many other tools and the joys or horrors they may bring. Honestly though, if you want no fuss in header creation, I suggest going the easy route; use Microsoft Paint. It re-sizes, it crops, and you can put a title on it, and honestly, for the simplest of headers, that is all you need. You can layer images on there too, however if you start erasing, it erases everything, so you need to be aware of the limits this program brings. It's easy to use, and whilst it lacks in design quality, it's great for simple headers that you don't want to mess around with too much. Photoshop is more or less for the more design-savvy fiends, or those with a desire to use a few more tools. I use photoshop for almost all of my own headers, as it allows me to chop and change pictures, re-size, filter, colour correct, blur and more. Its use of 'Layers' is helpful when making mistakes, as it means that when erasing or correcting one part of the header, another image in a separate layer will not get affected. That said, the amount of brushes, layers and different types of erasers, pencils, corrector's and more can get a little confusing for beginners, but once you know them all, photoshop is a lot easier to handle. It just takes some time to know the ins and outs of it, and to find the things you prefer to use over others. Another program I have used, and one you can obtain free, is Paint.NET (linked), which is essentially the free version of photoshop, and according to many, an easier version of the aforementioned system. If you don't have photoshop, then honestly, get this; it's a great introduction to what photoshop has to offer, and will allow you to create content similar to what photoshop could do. Whether you make a pretty simple header or one with lots of colour and flare, Paint.NET offers a variety of tools, as well as implements the use of layers, even though it does not host as much as what photoshop can in terms of brush types, patterns and texture. This is honestly a great program, one I have used a great deal for my own headers in terms of editing (and finalising in photoshop), and I do recommend it for anyone who cannot get a hold of photoshop. If you are not really into the design process, or even if you struggle with it, there is the option of asking for, or even commissioning, help. If you know a friend or another blogger who happens to be rather fond of creating headers, ask them if they can help you out. Just be sure to let them know what you would like, as well as any other important information like width and height dimensions (especially for Wordpress headers), and the images you would like to be used. I have created headers both for commission, and simply because a friend has asked me to. My friend and fellow blogger Ashley of 2D Paradise and Be Idolized has used me frequently to create her headers, and will often tell me what she would like in terms of colours and design, and will send pictures and dimensions for me to work with. Anything else like backdrop design, font or how the pictures are positioned, she generally leaves up to me. Use the images the blogger gives; if you have difficult with a specific image, ask them first if you can change it, or see if they have another file you could use. Ask for or give desired colours, as well as talk about background designs and any other small details that a blogger or yourself may like to see on a potential header. Be specific on what you want, or follow how they want it. If you or the blogger are flexible on the design, then obviously feel free to be a little more creative. Create and save multiple versions of a blogs header; give them a variety of designs as opposed to just one that you made and liked. It is their header, after all, and they can easily say no to it if they disliked that one creation you slaved over. Also remember to save a PSD (photoshop) or a PDN (paint.NET) file, or at least a format where you can easily go back to edit or delete any layers on your program of choice. This is, essentially, a raw format that you can work on again in the future if you need to quickly change something, without having to go back and start the whole image again. Making a header can be a fun process, but it can also be a time consuming one, too. It is this header that most will see when they first visit your blog, and it can be a way of defining how you wish to be seen as a writer. I like fun and colour, but I equally enjoy simple and sleek too, and some days I want something satirical or ironic; depending on my mood, what banner I create will reflect it, and it is something that I believe defines myself as both a blog writer. It does not need to be heavily edited, nor does it need to be simplistic. In the end, your header must simply be yours, to reflect your blog, and all that you love. Backgrounds are, quite possibly, one of the easiest parts of the entire design process. With a background, you can easily find a photograph, pre-designed backdrop or an image on google that you like, and apply it to your blog without much fuss. Alternatively you could design your own background, even if that design happens to be a simple wash of colour with a few patterns playing about in the corners. Really, it is as simple as that. Generally speaking, I myself very rarely make my own backgrounds, unless I am making them for fun, that is. 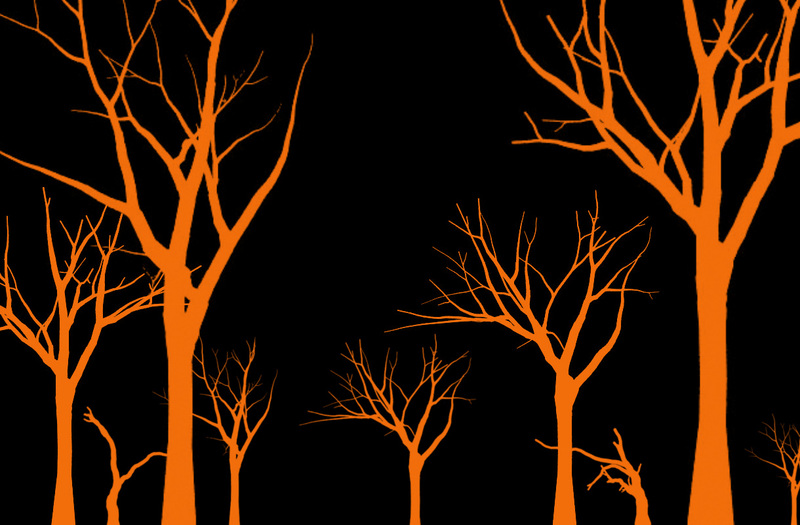 I have used my own backdrops that I made in photoshop once or twice on here, such as my 2012 Hallows Eve theme (pictured above) which I used to fit the theme of my Halloween Header at the time. When I do create them myself, however, I generally keep them simple and understated for my blog as opposed to loud and design heavy, which I instead do for the backgrounds I make for fun. That said, how you want your background to look is up to you. It can be loud and proud, simple and quiet, or just a wall of one colour. It depends if you want it to be your focus in terms of design. If you feel like creating a backdrop however, then definitely seek out inspiration; go on google and look at patterns and previously designed backgrounds, find colour wheels and play around with your colour palette in your editing program, and look for any designs such as hearts, fleur de lys, stamps, diamonds and the like to use in your backgrounds. Look at magazines, online articles and CD covers, anything, all for the sake of inspiration and research. It's okay to find something you like and 'borrow' the idea - we all do it, after all - ultimately turning it into something that is yours. Everything said here also ties into what you can do for headers, too. In general, I use a majority of my inspiration and ideas for my headers, and will sometimes instill them into backgrounds. Cartoon backgrounds, the four seasons, films... it can all be used for inspiration. I have used images I found on google in order to get the desired effect I wanted for an Easter themed banner, and another time I chose to use film reels and a lined paper background I found on google to make a banner that incorporated all I love; film, writing and Idols. Another time, the colours of Morning Musume's One Two Three costumes inspired a background, or the CD cover of HouPri's Seifuku Cinderella gave me an idea for a backdrop design I wanted to create. Whatever it is that inspires you, use it, because it can bring out a great design for a backdrop you may use in the future. And if you don't want to design a background? Well, look on google, find a photograph, or just play with the colour wheel, and use one or two colours! You do not need to go all out on your backgrounds, much like you don't have to have an intricately designed header. As long as you like what you have slapped onto the background, then it does not matter what any body else thinks. Ultimately, designing a blog can take time, and if that is something you choose to focus on, then be prepared to spend that time on looking for images, inspiration, and working on the backgrounds, headers and layout you want for your blog. Not everyone will go through this process, and not everyone will want to change their headers or background every season, but for those who do, and for anyone starting out in blogging, I would like to pass on to you this advice; Start out simple and work your way up. Do not worry about how your blog looks at first, because it will evolve with you as you grow and form your blog. Yes, it is nice to know that your blog looks nice, however you do not need to spend hours designing a header or background to make it look good. By starting out with a simple look and feel is one of the easiest things to do at this point in your blogging career, and in these early stages your primary focus will generally be on the posts that you want to publish, as well as building a solid readership. In the long run the design may take some priority, but for now, keeping it nice and simple would be my suggestion. ... Or you can ignore all that is said up there, and design to your hearts content! It's your blog, and you are the one who gets the last word. How you want to design it is up to you. It's a progress, one that some may need to ease themselves into if they are new to the world of blogging, layout, photoshop and design. Sure, your dream blog may not look the way you want it for now, however with progress and practice, you will soon achieve a look and feel that you like. Much like writing, the design and look of a blog will evolve with its creator over time until, finally, it becomes very much yours. And with that said, I would like to thank you all once again for reading through this post and reaching the end. I hope that I have helped even a little bit, and I do hope that you give blogging a chance, no matter what genre it may fall into! It is a great experience, one I would love for everyone to try. I hope to see the future of Idol Bloggers soon, and please, keep our love for Idols burning bright! I look forward to reading your content in the coming future. Until next time where I hope to meet you all in Part 3 of this series, take care, stay safe and happy, and of course, love Idols!